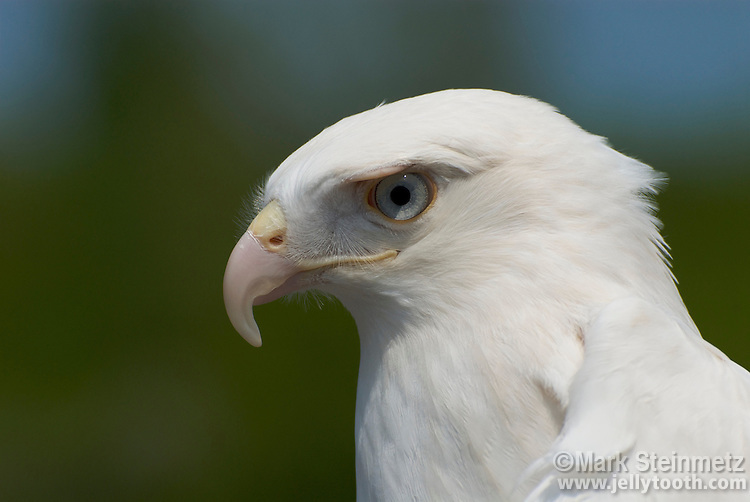 Cloud, a leucistic Red-tailed Hawk (Buteo jamaicensis). Unlike albinism which is a complete lack of pigmentation (particularly melanin), leucism is a reduced deposition of pigments--in the case of birds, primarily in the feathers. Soft body parts may have all or partial pigmentation. Medina Raptor Center, Ohio, USA.